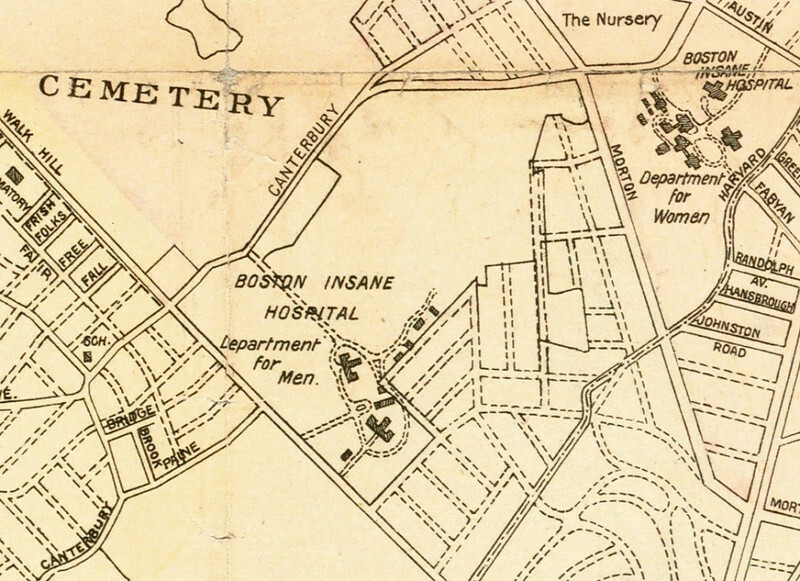 1890s: The city-owned Boston Insane Hospital began occupying the site in 1892, as indicated here in a 1907 map of Dorchester, Roxbury, and West Roxbury by G.H. Walker. Map reproduction courtesy of the Norman Leventhal Map Center, Boston Public Library.